William R. Hite, Jr., Ed.D. 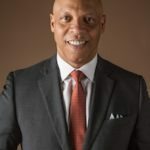 With a focus on equity, innovation and quality, Dr. Hite has worked to improve academics in The School District of Philadelphia while navigating a series of financial challenges. The School District’s vision is to create a system of great schools in every neighborhood. Under his leadership, the School District has opened new innovative high schools, expanded successful school models, launched in-district turnarounds, and redesigned schools in partnership with communities. His overall focus remains on strengthening all elementary and secondary school offerings. Dr. Hite has served at every level of kindergarten through 12th grade education, including teacher, principal and central office administrator in Maryland, Virginia and Georgia school districts. One of Dr. Hite’s frequent sayings is “Smart is something you become,” which speaks to his belief in the potential of all students to achieve the highest standards with access to the right teachers, coursework and opportunities.